dspic30f and dspic33f series micro-controllers are advanced 16 bit processors from microchip which can b used for a variety of PWM applications. 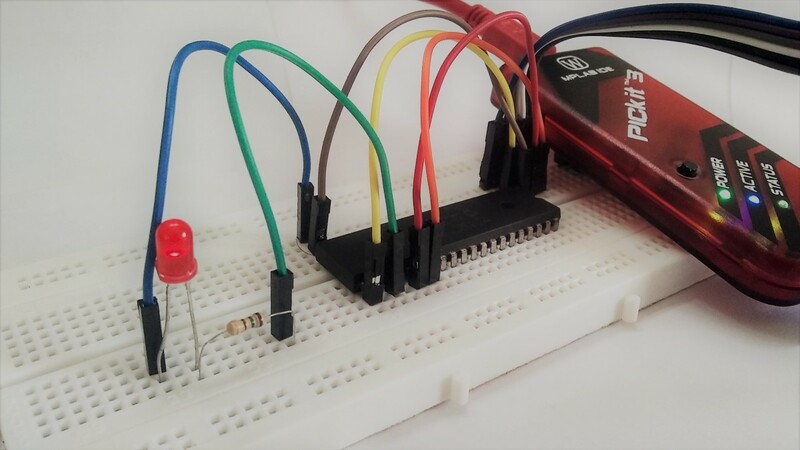 This walk-through guide will teach you how to configure the PWM modules in the dspic to get the desired PWM output. 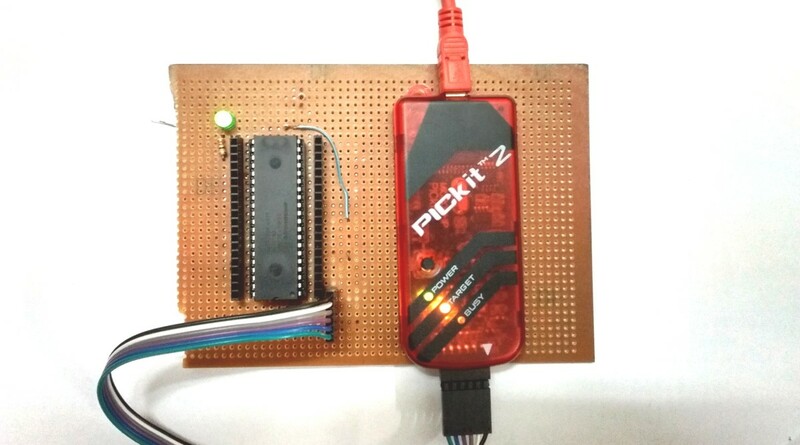 The dspic30f4011 being programmed with PicKit 2. This sample code can be used to initialize all the registers and configuration bits required to get the desired PWM output. DTCON1bits.DTA = 59;   //DeadTime value for 4 us. PTCONbits.PTEN = 1; // Enable PWM Timerbase! PWM time period register holds the time base value. 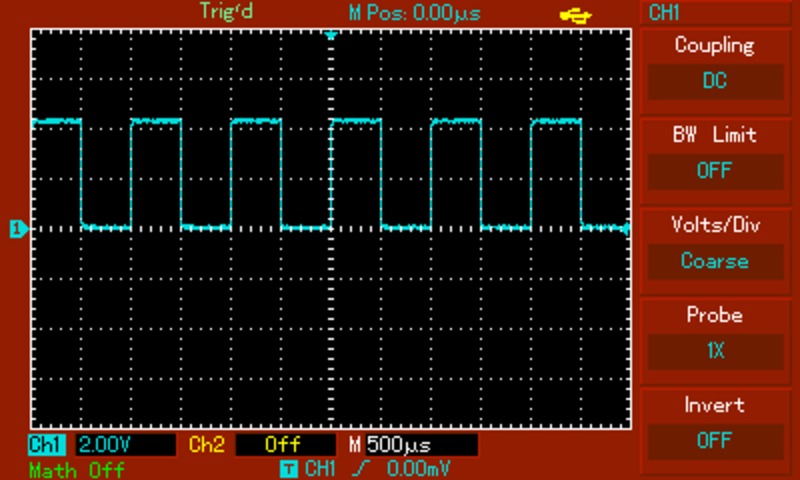 PWM duty cycle register holds the duty cycle value. PWM configuration registers has configuration bits. This is usually set to zero. This is done with the help of PTMOD configuration bits in the PTCON register, as shown in line 8 of our code. Let's calculate this for a time base period of 1 ms. Oscillator frequency is 10 MHz and PLL is set at x8. Solving for PTPER gives a value of 19,999 which is then loaded into the PTPER register in line 12. PTPER can be loaded with a maximum value of 32,768. If the calculated value comes greater then this, than the prescaler should be adjusted. Loaded into the PDC register, as shown in line 35. In this example, for 50% duty cycle, 0.5 ms is kept in place of 1 ms in the above given formula. Solving for PTPER yields 9,999. The value loaded into the PDC register is 19,999. Edge-aligned PWM in free running mode. Period = 1 ms, duty cycle = 50%. 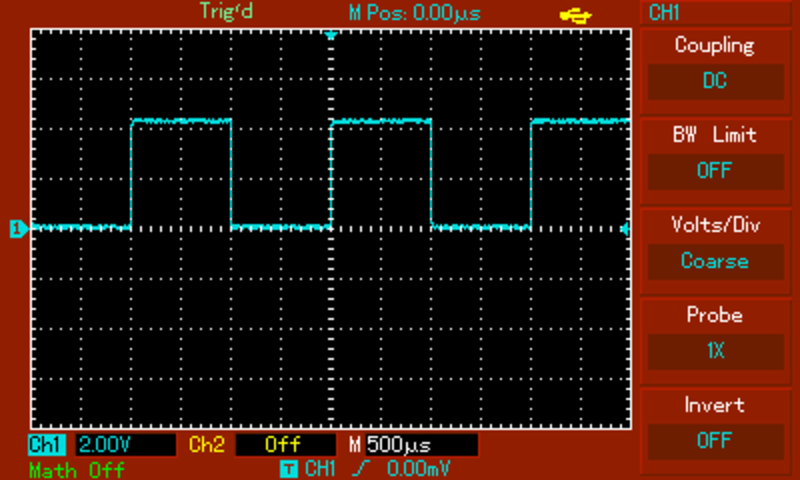 Up-down counting mode gives a PWM which is aligned to the center. This is particularly useful in vector-control applications. In this mode PWM time base is twice of that calculated for the free-running mode. For example PTPER = 19,999 will give a period of 2 ms rather then 1 ms. Same goes with the cuty cycle values in PDC registers. 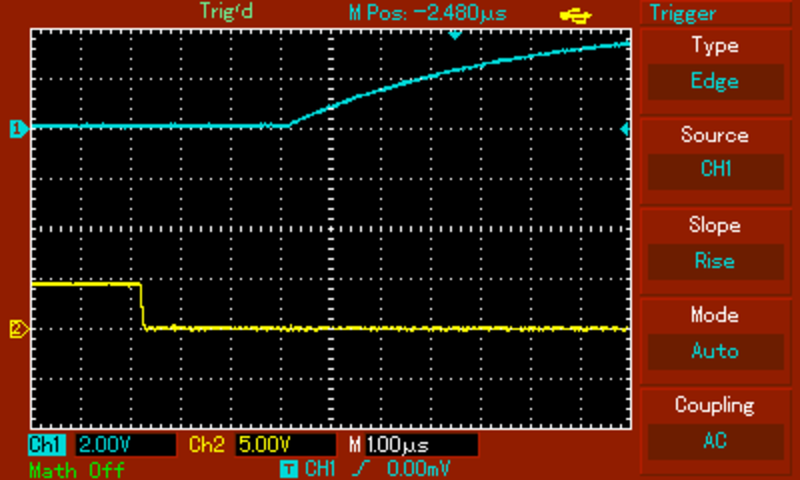 Center-aligned PWM with period = 2 ms and duty cycle = 50%. Complimentary mode is a unique feature of dspic30f and dspic33f series. It allows us to configure two PWM channels in complimentary mode such that output of one channel is exactly opposite of the other channel. The PMOD bit in the PTCON1 register needs to be written with a zero, as mentioned in line 14 - 16. PWM high enable bit or PENxH and the corresponding PWM low enable bit PENxL must be written with a one, as mentioned in lines 17 - 22. Center-aligned PWM in complimentary mode. When the PWM is configured in complimentary mode, a dead time can be easily inserted between the two complimentary channels by configuring the DTCON1 register. DTAPS bit is used to select the dead time prescaler. DTA is loaded with a 6-bit integer value to determine the time duration of the dead time to be inserted. It can be calculated from the same formula of PTPER value calculation, given above. Since this is only a 6-bit value it cannot be greater then 64. 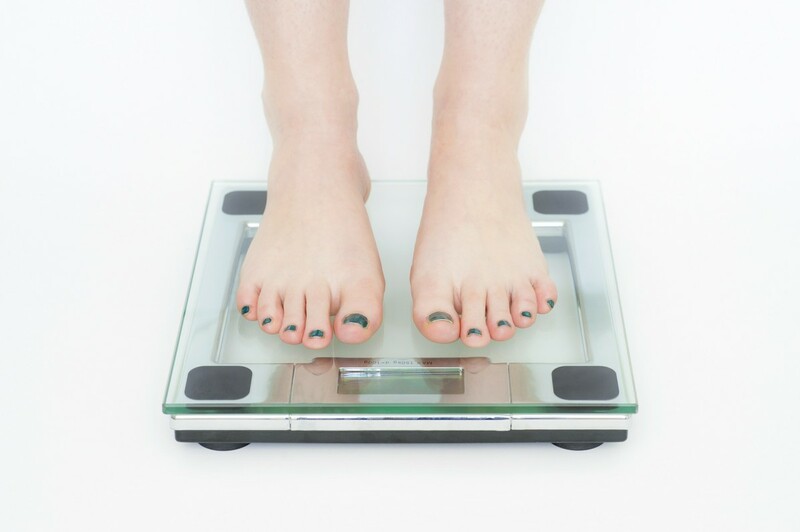 If a larger value comes after calculation, the prescaler needs to be adjusted. Line 27 shows a value of 59 calculated for 4 microseconds keeping the prescaler at zero. A PWM interrupt is available in the dspic30f and dspic33f which can be triggered at various places during the PWM cycle. At the start and end of each PWM cycle. Postscaler has no effect in this mode. At the start of each PWM cycle. At the end of each PWM cycle. (When a compare match occurs between PTPER and PTMR.) Post scaler has no effect in this mode. To enable a PWM interrupt the PWMIE bit in the IEC2 register must be set to 1. The following is the standard code of the PWM interrupt function which will be called when the interrupt is triggered. A postscaler may be used to reduce the frequency of interrupt triggering. For example it me be configured to trigger after every 1, 2, 4 or 8 PWM cycles, depending on the PTOPS bits in the PTCON register, as shown in line 6 of our reference code. For this you will need to use the PWM interrupt. Enough detail is given in the article. I am trying to generate pwm (50%) duty cycle but frequency should vary according to input frequency. (square wave is input). How to update ptper register, based on input frequency. 1) Change the value of pdc register after a set time interval. 2) Use the pwm interrupt to write new value to pdc register after each cycle or two cycles or maybe more. I tried to understand it from datasheet but i could not. thanks for this useful post. Hi! I have exactly the same problem. Could someone help us??? 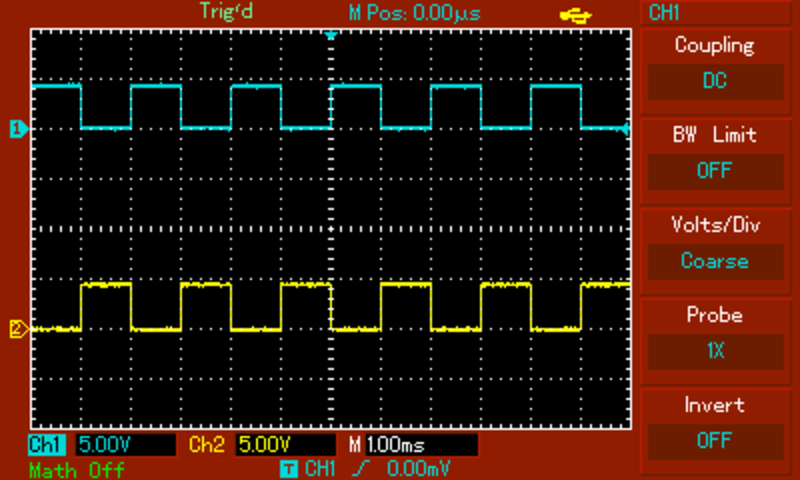 Complimentry PWM can be generated on two pins acting as complimentary pairs. 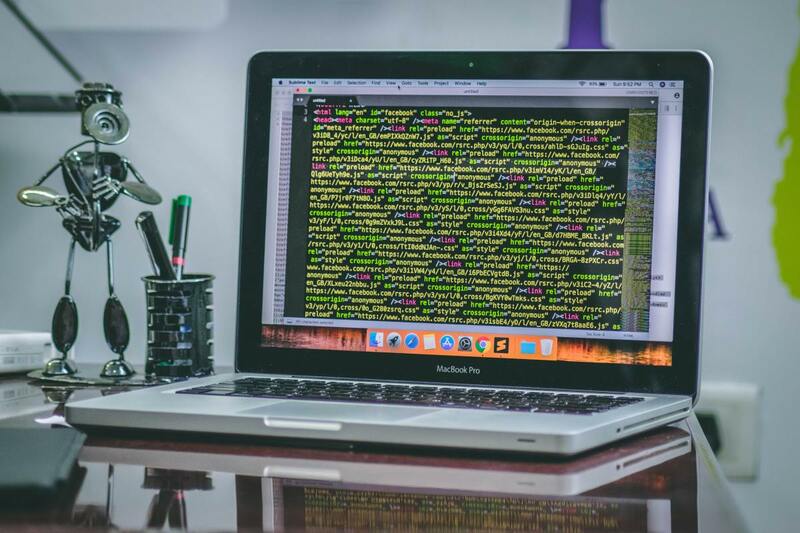 More information is given in the article. Thank you StormsHalted, your post is very usefull. Sir, please help me to generate 2 pwm at any pin in dsPIC33 with 180 phase angle with adjustable duty cycle. Thank you for posting this code, I want to learn dspic. can you tell me the ebook name. Oscillator frequency is the frequency of clock input to the controller. It may be derived from an external or internal oscillator. PLL is the multiplier of clock frequency. If for example it is x4 oscillator frequency is multiplied by 4 to give the actual clock frequency that is being used to drive the controller. Thank you for posting this, it's actually help me a lot. can you please explain to me , what is actually oscillator freq and PLL and how should I know how much my PLL and oscillator freq is ? 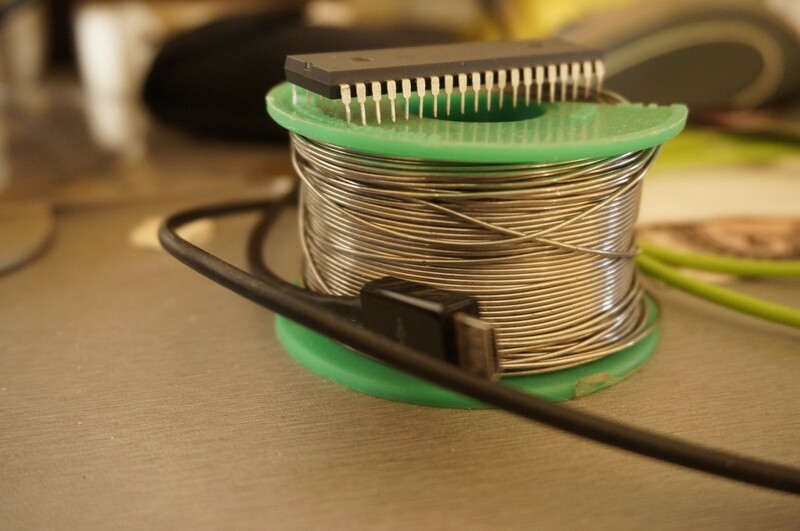 and I would be appreciate if you can upload picture and explanation about hardware(pickit and dspic) and how should be connected . Sorry for poor question , Im kindly a beginner to this part. Looking forward to your reply sir and thank you.